A new VR-enabled treadmill could completely change the way you work out, and its creators believe it could find a home with gamers, the military, tourists, and even first responders with its 360-degree movement system. 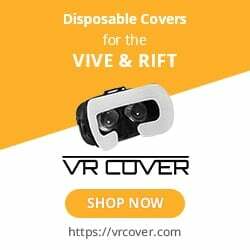 The OmniPad, currently running a crowdfunding campaign on WeFunder, is intended to turn the traditional virtual reality experience on its head by eliminating real-world obstacles from the equation. Rather than walk around a room and risk colliding with something, the OmniPad uses an omni-directional design that tracks users’ movements. This allows them to walk in any direction. In an introduction video, which you can view above, OmniPad CEO Neil Epstein said that he first devised the OmniPad back in 1998. He used a water balloon as a source of inspiration – capable of moving in every direction depending on where you applied pressure. OmniPad’s developers are positioning the treadmill as a tool for those who want to travel to a foreign country to explore, for athletes recovering from injuries, and for prospective homeowners. There are plans to bring support for all current VR headset platforms for gaming. Rather than force game developers to create entirely new experiences built on the OmniPad framework, tools will be given to integrate the device into existing games. It will also support multiplayer with more than one device in the same program, which could not only be useful for video games, but will also let military personnel and first responders train together. In order to find a place in most players’ setups, the OmniPad itself will be thin enough to slide under a queen-size bed when not in use. It will also be just six feet in diameter. If funded, the plan is for OmniPad to enter full production, with the device coming to mass market six to eight months later. It will target both consumers and businesses.